Government efforts to encourage rental housing development, a measure intended to curb speculation in the real estate market and support the healthy and stable development of the sector, are prompting developers to shift from conventional models to more innovative approaches, analysts said. The move is encouraging real estate developers to invest in building operations and management capabilities, in addition to basic development, according to Savills, a global real estate service provider. In fact, according to Tang Hua, senior director of Savills Shanghai Residential Sales, some developers now focus more on long-term operations rather than the one-shot income they receive from the develop-and-sell model. An increasing amount of land in large cities is being allocated to the development of residential leasing projects, and the trend is expected to continue next year, Tang said. 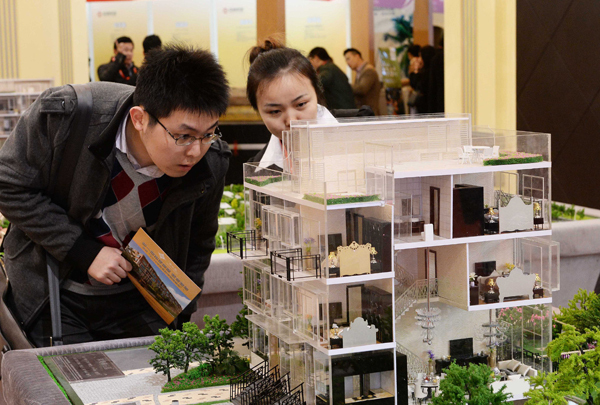 Development of the residential leasing market is one of the measures included in the long-term mechanism for the healthy and stable development of China's real estate market, as policymakers have stated several times. Long-term rental housing projects, both for young professionals who just started working and for senior executives and expats, have emerged in large cities across China, adding more options to residents besides living in a dormitory or buying their own properties. Rentals range from 2,000 yuan ($302) per month to more than 40,000 yuan per month, based on location, space, and services provided to tenants. More than 20 developers among the top 100 players in China have announced that they are targeting long-term rental projects in the next few years, according to company announcements and briefings. These include Yuexiu Properties and Longfor Properties, which both announced that they are launching rental projects in 2017. It is expected that in the next 10 years, the long-term rental housing market will grow rapidly as residents are increasingly migrant and young residents, prefer flexible housing options, according to a research note from E-house China R&D Institute, a Shanghai-based real estate services provider. "It is expected that China will see a 5.4-billion-square-meter market for rental housing by 2027, with combined income of 3.86 trillion yuan," the research note said. Different from the conventional built-for-sale model, long-term rental projects are making "slow money", said analysts, requiring developers to effectively manage liquidity flow.